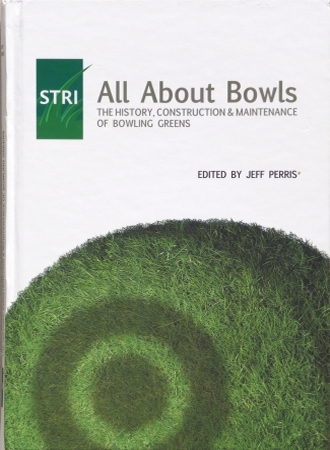 Synopsis The original 'greenkeeping bowls bible', Bowling Greens - Their History, Construction and Maintenance, has now been superseded by this new, full colour version with a fresh title. Editor Jeff Perris, Sports Turf Research Institute's (STRI) Consultant Agronomist for 42 years, has brought the publication up to date with revised and additional content, new photographs and graphics. Three technical appendices, acknowledgements and a page on the work of the STRI conclude this long-awaited publication. All About Bowls is an indispensable, authoritative aid to all bowling clubs and greenkeepers in providing a comprehensive year round guide to the management of both flat and crown greens. It is fully endorsed by Bowls England, who provided the book's foreword, and the British Crown Green Bowling Association (BCGBA). The book may be purchased from Amazon. The first 58 pages are also viewable online here.